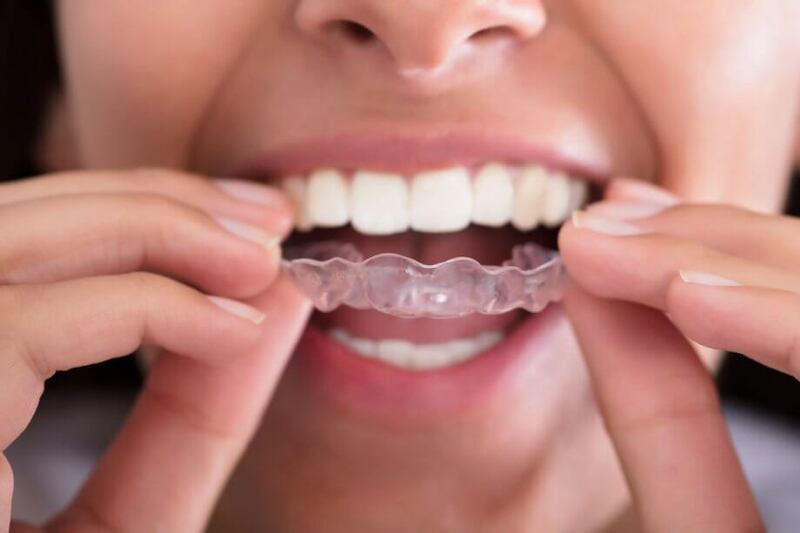 Sometimes billed as “the clear alternative to braces,” Invisalign was introduced in the 1990s, but it has only recently exploded in popularity. Straight teeth are not only aesthetic, but they actually improve oral health by making chewing easier, reducing the odds of jaw joint issues, and by being easier to clean. Metal braces were long the treatment of choice, but today many patients and dentists are choosing Invisalign instead. Here are just 5 benefits of Invisalign. Invisalign treatment begins with a 3-D digital model of your current smile. We will morph it to show you what to expect from each phase of treatment, as well as the final results. We will then use the model to create a customized series of aligners to gently shift your teeth. Invisalign uses comfortable, smooth, medical grade aligners with no sharp edges. While metal braces tend to poke and scrape the insides of the cheeks, the lips, and the tongue, Invisalign has nothing to irritate sensitive tissues. In addition, the aligners are virtually invisible. No one but you needs to know that you are straightening your teeth. Getting braces means changing your lifestyle. You must learn a whole new oral hygiene routine. You will not be able to eat certain foods such as whole apples or popcorn, and you must learn to wax your braces and perform other tasks. Invisalign’s removable aligners let you maintain your current lifestyle. They only need to be worn 20-22 hours per day or as directed. You can take them out to eat whatever you like and to perform your regular oral hygiene routine. If you play contact sports, we will instruct you as to whether to remove your aligners while you play. Braces are hard on the teeth. Scraping and demineralization are common, which puts your teeth at risk for such future problems as cavities or even fractures. Smooth, gentle Invisalign is far less damaging. Busy people will love the ease with which they can complete Invisalign treatment. We place the attachments on your teeth and teach you to care for the aligners. Then you will change aligners at home every week or as instructed. You will only need to see us once every four to six weeks. Braces require an ongoing series of appointments. We will place them, adjust them, care for any emergencies such as popped wires or loose brackets, and remove them. In addition, the total treatment duration for braces is usually longer than for Invisalign. Invisalign was once more expensive than braces, but this is changing rapidly. Invisalign’s all-inclusive pricing plan covers all aligners and appointments. With braces, you must add the costs of any desired upgrades, as well as all adjustments and emergency visits, to the base price. Many dental insurers are now covering Invisalign as well. We will let you know your out of pocket costs before we begin work. If you are searching for an experienced, trustworthy dentist in Framingham, we invite you to contact Metrowest Prosthodontics today at (508) 620-6622 to schedule your first appointment.